I'm going to be totally honest and say that this series caught my attention, mainly because of the book titles. I imagined throwing a series review together like this, because it somehow felt aesthetically pleasing (see review post title above). I suppose it also helps that Kay Hooper's an author I like, and truth, I find a lot of her earlier work more enjoyable than some of the boring drivel she's been putting out lately. Don't get me wrong: I'm still holding out hope that the Bishop/SCU series will find its former glory. But this review is about Quinn/Thief duology, so let's get back on track. 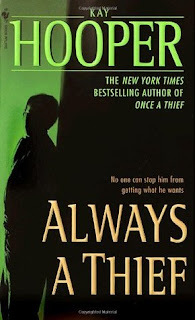 Unfortunately, partway through the first book, I had a niggling feeling that I was missing something--that there was a whole world of Quinn/Thief out there that might belong in a different story, or even in prior books written by Kay Hooper, connecting to this world. So I did a search and found a four book series from Harlequin Loveswept called Men of Mysteries Past, which involved such titles pointing to the four main alpha male characters who all appear in the two books, Max Bannister, Wolfe Nickerson, Jared Chavalier, and the master thief Quinn. There's also a very blatantly obvious connection between them that doesn't present itself until the very end of the duology; and while I hadn't really thought about it while reading the two books, it didn't strike me as surprising when revealed either. Still, I was... a bit flummoxed and not sure how to continue this duology. Especially since the book was dragging a whole lot to begin with anyway, what with all the characters sitting around and discussing security, and gangs of thieves, and Quinn's thieving career... with absolutely no action going on. It reminded me of those last few trilogy arcs of the Bishop/SCU series where the characters simply spend all of the book sitting around and just... well, discussing things. 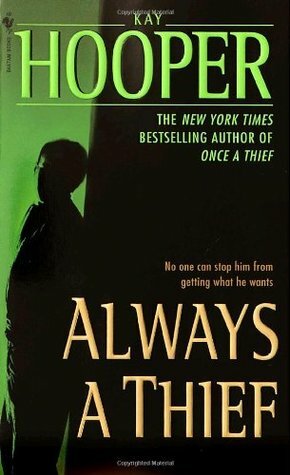 I DID do some backtracking after I finished the first book, and reread Hooper's author's note a bit more carefully, realizing that she had, indeed hinted at previously published works and her love for Quinn the master thief, thus leading to this re-imagined duology, which is supposed to center mostly around Quinn. She admits that some of the scenes and dialogue is copy and paste, but that the majority of the two books are definitely new material with some different actions and scenes. I'm not sure how I feel about this. And yet I HAD to read the second book because of all the loose ends and the mysteries and the secrets yet to be resolved/revealed. Unfortunately, I can't very well admit that all the loose ends were cleaned up. The ending of the duology was quite open-ended, both with the criminal thriller parts and the romance parts. It all felt unsatisfying and unfinished. Needless to say, while the books were quite easy to read, I'm not entirely certain they were really worth the time put into them, considering how scattered and hop-scotch the progression was, and how unresolved everything felt. And how deliberately mysterious Hooper was trying to make all the scenes seem, while making all of her characters talk and monologue way too much. It had taken centuries for Max Bannister's family to acquire their treasures, and now he's been asked to risk his collection as bait for a master criminal. For his own reasons, Max allows a public exhibition, and to protect the family fortune he must rely on the skills of his half brother--a world-class security expert--and his smart and savvy exhibit director, Morgan West. 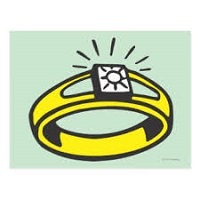 Is everything for the taking? 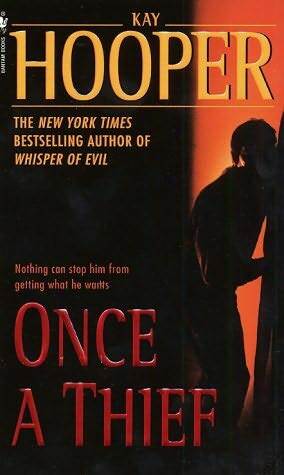 Truthfully, there was so much going on in the first book that I really couldn't tell if Ms. Hooper had an actual direction to her story progression. The main premise was there, though, don't get me wrong. But I had a hard time following one character after another without wondering if details were being left out, or if I was already supposed to understand the fairly underdeveloped characters in this universe. And truth, aside from maybe Storm Tremaine and her cat, I really had a hard time liking any of the characters. Four broody alpha males, two feisty damsels... it's a typical dated romance, though two couples are showcased together in the first book. And while I DID enjoy the bickering and insta-lust to immediate insta-love between Wolfe and Storm (these names! ), I found the romance between Quinn and Morgan completely incredible, starting with the fact that there's a modicum of psychic hinting between the two, as well as Morgan's TSTL actions that make absolutely no sense. Which is a big disappointment, because I had expected so much more from her. In terms of storytelling, Once a Thief was definitely what you would call a "set-up" book. Because nothing really happens except for a maybe last minute villain; this book read like an introductory of sorts. Which is a lot of pages for setting up the world and the story. I read this book for Booklikes-opoly in Summer 2017. Bank Increased to $73.00 with this read. The priceless, rarely displayed Bannister collection is about to be exhibited--and the show's director, Morgan West, can't ignore her growing uneasiness. She's certain she hasn't seen the last of the infamous cat burglar Quinn. But she never expected him to turn up at her apartment one dark night in desperate need of her help--help she can't refuse. The mysterious master thief is playing a dangerous game, and it's a game that just might get him killed. With Morgan's help, Quinn sets a trap intended to catch someone far more elusive... and more deadly... than a thief. But an unseen threat shadows him in the fog-shrouded San Francisco night, an unknown adversary more cunning than any he has yet encountered. Now, just when the stakes are higher than even Quinn can imagine, no one can be trusted--and everything's at risk. To my extreme frustration, Always a Thief didn't fare as well either. Pretty much this entire second book just continues the story line from the first, with all the same quibbles and irritating draggy-ness that I really didn't care for. Morgan's TSTL characteristics didn't improve, despite all the narrative efforts to make her sound like an intelligent, witty, independent woman. At least there's a scene wherein she, herself, points out just how TSTL her actions have become since she'd met Quinn, the master thief. Of course, it still didn't stop her from continuing to rush into danger for no good reason; although, since very little negative came out of her actions, I suppose I don't know why I'm complaining. Oh, that's right, maybe because we've still got some sort of strange psychic connection being emphasized between Quinn and Morgan that makes absolutely no sense at all. Meanwhile, the rest of the characters are shuffled into the background. Truth be told, I would have liked to see more on the development between Quinn and Jared, once we find out what their connection is... but the book sort of just fazed it out and made it seem insignificant in light of all the scattered activity of the main conflict, and the non-romance-romance going on between Quinn and Morgan. Truthfully, I think I probably reset my outlook on this book after reading Once a Thief, but that still didn't keep me from feeling a twinge of disappointment that things didn't work out the way I'd been hoping. And when I say "work out the way I'd been hoping," I mean get more exciting and less boring, as well as turn Morgan into a more sensible character who doesn't just accept all of Quinn's lies with a shrug and a "whaddya gonna do?" just because she's somehow fallen in love with him (in spite of all the lies and secrets); or who doesn't just go rushing into danger without a backup plan. In light of this, I kind of miss having Storm and Wolfe bicker at each other. Overall, I feel like maybe if I'd known about the previously published four book series that was the jumping board for this duology, I maybe would have given some thought to reading that one first, then maybe coming back to this duology some time later. Instead, now that I've finished with this two-book series, I'm not entirely sure how I'd feel about going back and picking up Men of Mysteries Past and seeing if it would be more worth my time.